The third limb of yoga in the 8 Limbs of Yoga in Motherhood is Asana, or as we’ll call it here: Ahhhsana. This is the part of yoga that many of us know well; it’s often times what brought us to the mat in the first place. It’s the movement, the postures. It’s the opening and the closing, the expansion and the contraction of the body. And we call it the Ahhhsana because it should feel like that word sounds. It should nourish and rejuvenate and replenish and restore. Motherhood is so demanding and so much is required of our bodies. We grow a human life, we expand to make room for that life to develop and mature, and then we bring that life into this world. We endure long days, sleepless nights and late night feedings. Then we find the strength to get up and do it all again the next day and the next. We pick babies up and put them down and pick them up and put them down. Then we pick them up again. We hold our little beings on our hips with one hand while we make dinner with the other hand. We open the stove with our foot and close the fridge with our shoulder. Our bodies become off balanced and stressed. We develop carpal tunnel syndrome and our posture goes downhill. And during all of this, we often times put our own needs last. We focus so intently on our darling babies, our babies who almost always need something from us, and we put our own needs on hold. It’s so easy to say that we are being selfless in doing this, but are we? Is it really best for our families if our health declines? If we do not make ourselves a priority and take care of our physical bodies, we will one day find that we have less to give and share with those we love. So welcome Ahhhsana into motherhood. Find time each day, even if it’s just for 5 minutes, to reach up high and bend down low, to twist your spine and extend your limbs. Open your heart and expand your ribcage. There is so much healing that happens when we connect with these postures and move through our Ahhhsanas. Many mothers have so little time, and committing to a yoga practice can feel like a scary step to take. Make it small. Roll your mat out and keep it rolled out for an entire week. When you pass it, step onto it and hold one posture, just one. See how it feels. Touch your toes or hold a Warrior pose. See how it feels. And the next time you pass that mat, do it again. Come up into Cobra or balance into Tree pose. See how it feels. Maybe commit to one simple flow, perhaps a series of 5 postures. And bring your little one onto the mat with you. Let them crawl under you in downward facing dog and climb up your legs in chair pose. Make it fun and playful, and make it feel good. Enjoy your Ahhhsana. Motherhood is hard and it takes a toll on our bodies. 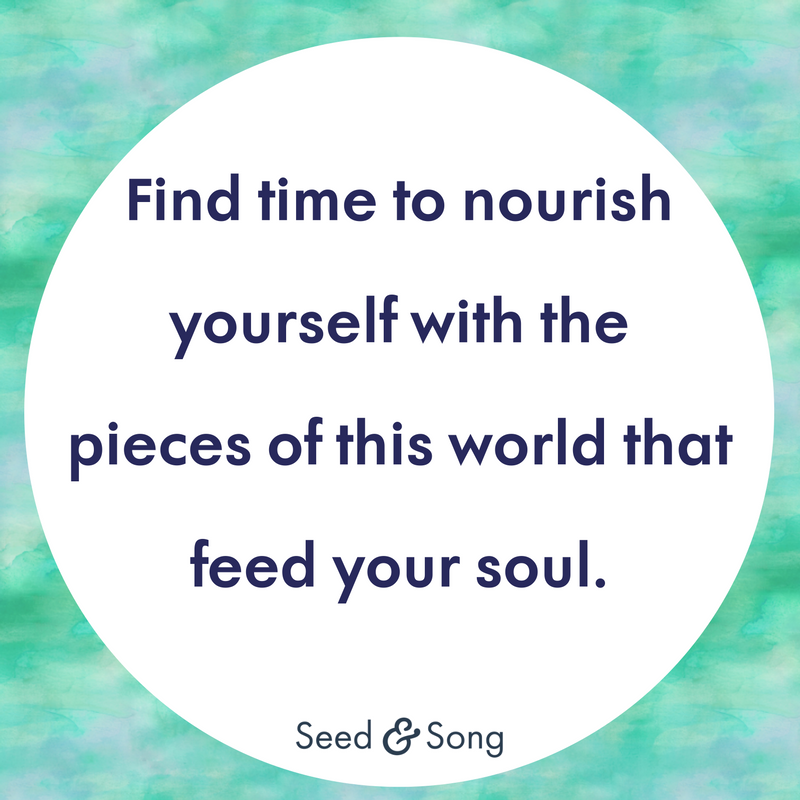 We are doing a disservice to everyone in our lives if we do not take the time to nourish, rejuvenate, replenish and restore these amazing bodies. So take the time, commit to a posture and then maybe another. Roll your mat out. This, mama, this is the first step. As we begin our journey into the 8 Limbs of Yoga in Motherhood, we have to start at the beginning, the foundation, the first limb, the Yamas. The what? Yes, the Yamas, or what I call: The Mama Yamas. The Mama Yamas are all about your integrity, your social guidelines, your ethical practices in motherhood.The Mama Yamas show up in your day before you even step on the mat. They sit with you while you move through your practice. And they leave the mat with you, journeying through the rest of your day right by your side. They are real and raw and bring you back to the basic fundamentals of humanity, the heart of who we are and how we navigate this life as mothers. Ahimsa: non-harming. There are obvious ways that this applies to motherhood: not harming your child and providing all of the amazing care and compassion and love that you’re capable of giving your little one. But non-harming is bigger than this in motherhood. As mothers, as women, we are hardest on ourselves. We are the first to be deprived of something so that we can provide for those we love. And now, with a little baby asking for every ounce of our energy, we often find ourselves deprived. So Ahimsa also means non-harming towards ourselves, because we can only love our best when we are at our best. So go easy on yourself. Ask for help. Take a nap while someone watches your baby. Allow friends and family to cook for you. Tell yourself that it’s ok if your house isn’t spotless. You may find throw-up in your hair. That’s ok. And give your body some love. It may not look or act like it did before you were pregnant, but this amazing body of yours has grown a human being and is now supporting that life. That’s remarkable and deserves love. It’s not about lowering your standards in any way, it’s about finding a healthy balance in life as it is right now. Satya: non-lying. I believe the beauty of Satya in motherhood relates to our honesty with ourselves and the decisions we are making every day. It’s about living a life aligned with your values, one where you are completely honest in thought, speech and action. You say things are fine. Are they? Or do you actually need to ask for help? You say you want your children to be kind humans. Are you showing them what that looks like? You tell your children to speak nicely? Are you speaking nicely? You say you want your child to grow up to be a confident, independent and adventurous. Are you leaving space for this in their lives today? Oh man, this one can be a bit challenging at times. It is a chance to reflect on who you are and how you are moving through this life. Are they aligned? Are you being truthful to yourself? Asteya: non-stealing. We have so many distractions in our lives, so many things asking for our attention, demanding our attention. It’s a constant battle. Are we stealing away the best of ourselves from those who deserve it most? The truth is that there will always be something out there for us to like, to watch, to follow, to comment on. There’s always more. And then more still. But every moment we disconnect from what’s real, from what’s happening around us, is a moment we are stealing from those in our presence. And it all comes down to exactly that, presence. Are we present? Are we truly there, engaged and involved in the moment? These children are. It’s all they know. But sometimes the moment gets lonely for them. The find themselves right by our sides, but completely alone. So disconnect to connect. Stop stealing these precious moments, this presence, from the ones who need it most. Brahacharya: how we use our energy, both the ways we conserve it and the ways we expend it. The demands on mothers are endless, but our energy is not. We have a limited amount of ourselves that we can give to the rest of the world, to our families and friends and communities. We must be mindful in how we direct this energy. We must also find ways to protect this energy, taking time to restore and recharge. The word “no” is not an easy one for many of us to say. We like to please, we like to help, we like to take on more and more so that we can contribute to those around us. But there comes a point, and it sneaks up on us, when giving more results in giving less across the board. So be mindful of your energy. Be conscious of where you are directing it. Take inventory of your obligations and your commitments, and be sure that they are meaningful and purposeful. And, of course, do not forget to slow down and recharge. The world moves fast and motherhood is demanding. Protecting your energy is your responsibility. Never forget this. Aparigraha: non-greediness, non-possessiveness. As a mother you may feel like you are constantly giving and sacrificing. That’s what mothers do. But in what ways are you being greedy and possessive as it relates to your goals in motherhood? If you look closely, you may be surprised. We want to desperately to protect our little ones from the world, but deep down we know that is not possible. They will know loneliness and fear and sadness. They will feel isolated at times and hopeless at other times. These feelings are a part of life and we cannot shield them from the shadows, as much as we may want to. It is in living through these moments that our children will come out stronger on the other side. So instead of trying to own their path, to direct and control, it is our jobs to equip them with the tools they need so that when these moments arise, they can confidently navigate them. And then, at some point, we have to release them and let them move forward. Our children are ours, but also they are not. In what other ways do the Mama Yamas relate to your own motherhood journey? How can this foundation, this first limb, help to shape your approach to motherhood? We are never perfect, and we are always evolving in this life. Leave room for this in motherhood as well. Practice mindful mothering. Move forward with intention. Begin with a solid foundation: The Mama Yamas. Stay tuned for the next post…the Mama Niyamas! I remember sitting in my yoga teacher training years ago and learning about the 8 limbs of yoga. 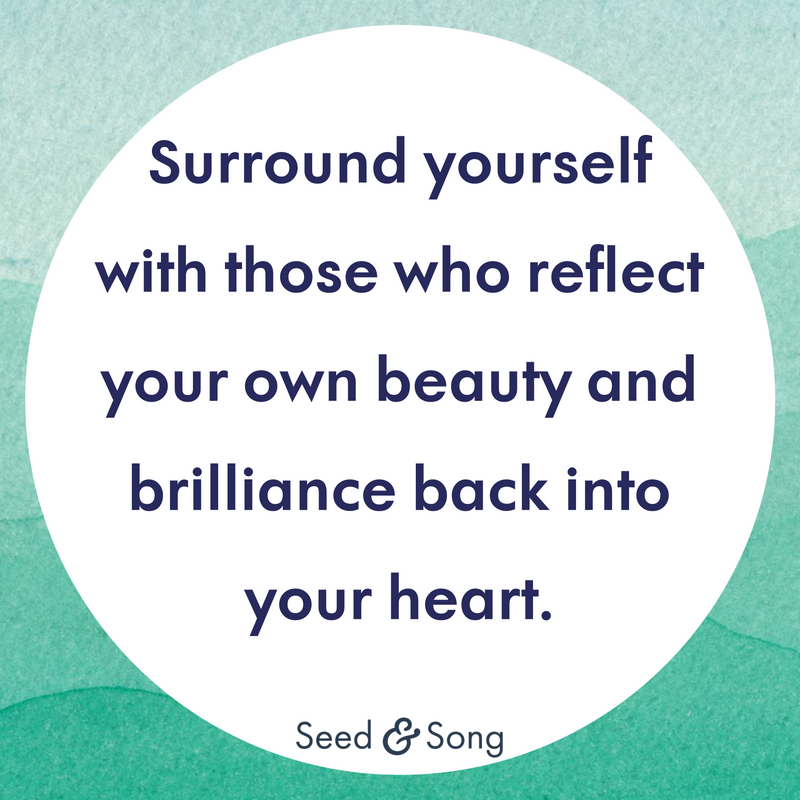 I found this approach to living a conscious, mindful existence to be refreshing and grounding. It expanded my idea of what yoga was and exploded the possibilities of how yoga could be a part of my life. I committed to fully exploring each limb and weaving them into my existence. And then I had a child and everything changed. My time on the mat was reduced to a few minutes a day, maybe even just a few minutes a week. My reading material went from books that enriched my soul, to scouring the internet for quick tips on mothering: What should a breastfeeding mother eat? Will I ever sleep again? Are there any meals I can make in 2 minutes? It was survival mode folks. But one day I was walking past my dusty shelf of long neglected books. Pablo Coehlo was flagging me down. Irving Stone looked at me with disappointment. Even Jane Austen was taunting me. And then I saw my yoga books and I thought surely I had some time to skim a few pages between diapers and tummy time. I randomly opened to a page that discussed the 8 limbs of yoga, the 8 components to living a meaningful and purposeful life. I recalled my dedication to these limbs in my past life as a non-mom and wondered how they fit into my life as a mother. Surely I still wanted to live a meaningful and purposeful life, perhaps now even more than before. And so began my quest for the 8 limbs of yoga in motherhood. Yoga changed my life 10 years ago and reshaped the way I viewed myself and the world around me. It has been profound for me in many ways. And surely I would want to carry this into my life as a mother. Being a mother has brought new meaning and purpose to my life, but along with that has come the hardest challenges and deepest struggles. As a mother, if ever there was a time for living a conscious and mindful existence, this is truly it. So stay tuned in the next few weeks as we take a deep dive into The 8 Limbs of Yoga as they pertain to Motherhood. We’ll take on the Yamas, the Niyamas, Dhyana, even Samadhi and much more. Are these words new to you? If yes, that’s totally ok. Really, it is. I’ll walk you through them. 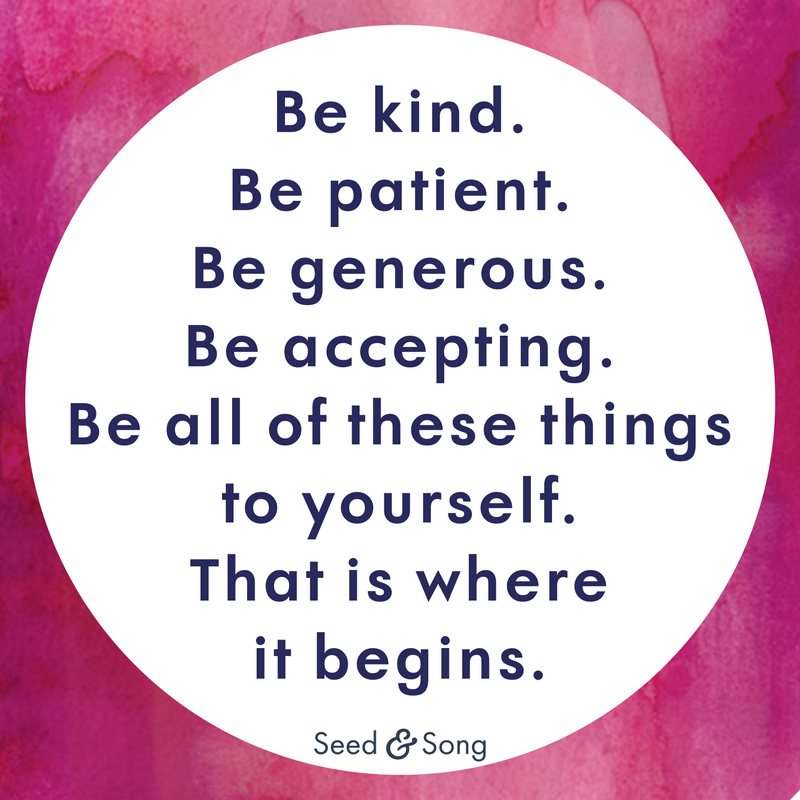 Hopefully this journey will support your motherhood journey, lift you up, shift your perspective, challenge you, inspire you, whatever it is that you need right now as a mom. Or perhaps it won’t. And that’s ok too. But for me, this has provided a framework for motherhood. This has been the bridge between my identity as a yogi and my identity as a mother. It’s been eye-opening, inspiring, grounding. I hope you find a piece of this too. My two year old daughter has recently become fascinated with light. She loves flashlights and the lights on our Christmas tree. She especially loves those little battery operated candles that you can switch on and off. The other morning she grabbed one of these candles and switched it on. When it didn't shine brightly she looked at me and said "this one isn't working". I explained to her that it was working if you look closely but that we can really see the light of the candles when it is dark. As we approach the winter solstice, the shortest day of the year, we are enveloped in more darkness than usual. The earth reminds us of the need for dark, of shadow, waiting, and stillness. While the earth is darker, we adorn our homes with light. Whether it is with lights on our Christmas tree, candles on the Hanukkah menorah, or the light of a fire we gather around. This season is full of dark and light. And so it is with our souls and our hearts. Especially as mothers, we daily experience dark and light. There are the sleepless nights, the fears and the complete frustration. And then there is the purest joy, love and sweetness. We are made of shadow and light. Our lives are made of dark and light. They both hold lessons and gifts for us and our children. How can we lean into darkness and see its hidden gifts? How can we approach the shadows without fear, knowing they also reveal the light? This season offers us an invitation into this mystery. The Importance of Self-care: What are you missing? We care for others. That’s what we do as mothers. We care and care, but not always enough for ourselves. If we do not take care of ourselves, who will? And if we are not cared for, who can care for those we love? Self-care is not a selfish act, no, indeed it is a selfless one. But why do we run from it? Why do we prioritize everything else in front of it? Why is it so hard to embrace, to cultivate, to put into practice? It’s not about massages and facials (though there’s nothing wrong with those). It’s not about yoga class and new clothes (though these things may be a part of it). Self care is about saying "no" often, and mindfully, consciously saying "yes". It’s about listening to yourself and understanding what it is that you truly need. Self care is about speaking kindly to yourself, it’s about giving yourself opportunities to grow and also to rest. It’s about sitting with yourself and listening to what it is that you have to say, what it is that you need to make known. So often we as mothers put our health, our nutrition, our sleep, our creativity, our rejuvenation and our growth last. But no, no we cannot. If we do not make ourselves a priority, if we do not stand up for ourselves and understand the value of self care, then who will? So, mama, sit with yourself. Find space and time to dial in. Tune in. Find your center and dig deep. What are you lacking? What are you needing? What are you missing in this life? Listen. And then listen some more. You are strong and resilient and so amazing. But even a fire that shines so brightly needs to be tended. If you are to be a light for those you love, you must find ways to feed yourself. So begin. This is important.